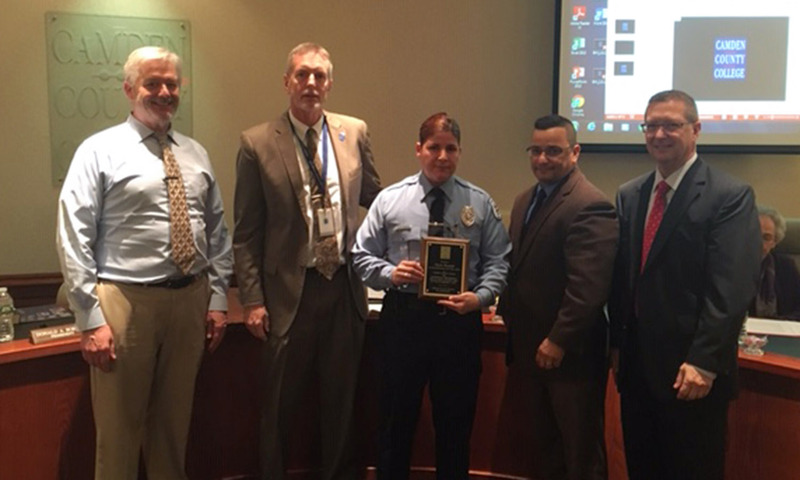 (Gloucester Township, NJ) – The Camden County College Board of Trustees honored three campus Public Safety Officers whose quick response and professional training saved three lives. 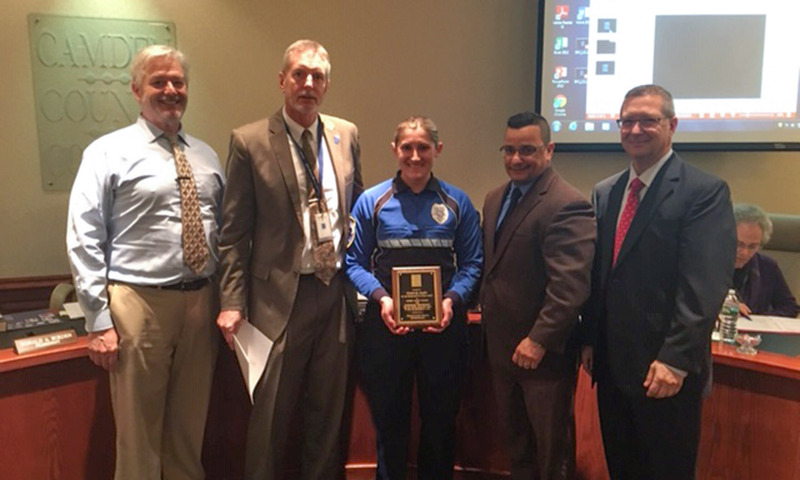 Officer Dawn Pasquale was called to the scene of an unconscious individual on Feb. 5, 2018 at Camden County College’s Camden Technology Center. Thanks to her training, she concluded that the individual was suffering from a lethal amount of an opioid drug and administered Narcan. Officer Pasquale also applied sternum rubs and succeeded in reviving the individual. She also arranged for their transportation to a medical facility for further evaluation and treatment. 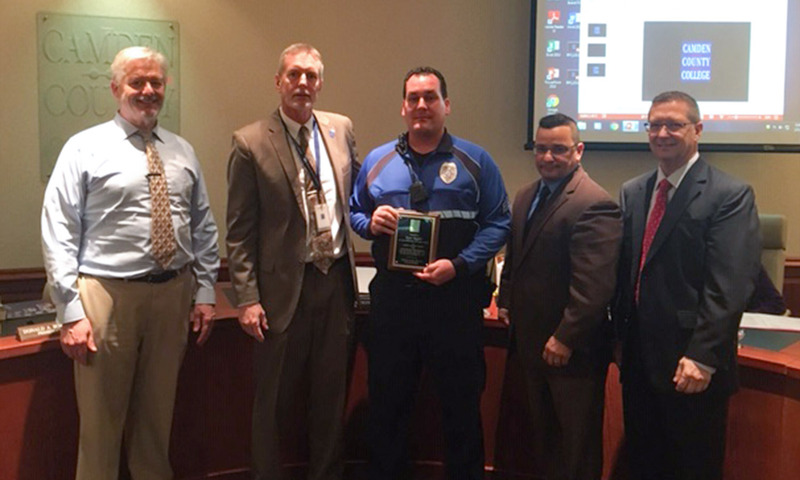 Sergeant Ryan Taggart was in the Community Center on the Blackwood Campus on Oct. 30, 2018 when he was informed that an individual was choking in the cafeteria. He administered back blows before performing abdominal thrusts on the choking victim. He was successful in dislodging the object from the individual’s airway, allowing the victim to resume normal breathing. Throughout the situation, Sergeant Taggart remained professional and calm. Officer Kimberly Snyder responded to report of an individual that had collapsed at Broadway and Cooper Street in Camden City on Nov. 6, 2018. Upon arrival, she conducted a rapid patient assessment, and based on her training concluded that the individual was experiencing the effects of an opioid overdose. Officer Snyder revived the individual by administering Narcan, and remained with the individual until EMS personnel arrived. The three were recognized during the Camden County College Board of Trustees meeting on Feb. 5 in Blackwood. Camden County College is one of the largest community colleges in New Jersey and ranks among the top nationwide in terms of associate degree graduates. Thanks to its technology-rich physical resources – located in Gloucester Township, Camden and Cherry Hill – and its highly-qualified, dedicated employees, the college has created a tradition of quality education and a reputation of agile, responsive service. Camden County College sustains a vibrant academic community characterized by imaginative teaching, caring student services, energetic management and collegial discussion of diverse ideas and opinions.